Eating up to one egg per day is associated with a lower risk of heart disease and stroke, according to a recent study published in the journal Heart. Researchers from China and the UK came to this conclusion by looking at the egg-eating habits of half a million participants in China and following up nine years later to compare egg consumption with heart-related diseases and death. The team found that participants who had eggs daily had an 11 percent lower risk of heart disease and an 18 percent lower risk of dying from heart disease during the study period compared to people who didn’t eat eggs. Participants who ate one egg per day had a 26 percent lower risk of hemorrhagic stroke (bleeding in the brain), which is more common in China than in other higher income countries. There was also a 12 percent reduced risk of ischaemic heart disease for people eating about five eggs per week, compared to those who ate them rarely. Since this was an observational study, no definitive conclusions can be drawn about cause and effect. However, the researchers said that the results suggest eating up to one egg per day may have health benefits. “The present study finds that there is an association between moderate level of egg consumption (up to 1 egg/day) and a lower cardiac event rate,” the authors said. 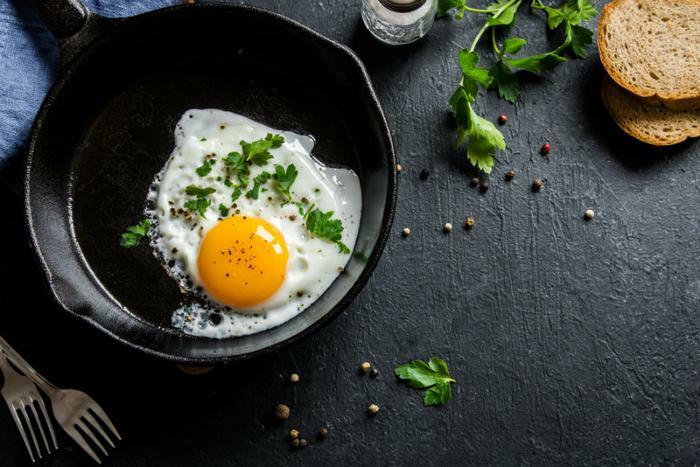 Although the health impact of eggs has been questioned due to their high cholesterol content, more recent research finds eggs can help raise high-density lipoprotein (or “good” cholesterol). Eggs also have high amounts of protein, vitamins, and omega-3 fatty acids -- healthy fats that can promote heart health.